Mira Azora 9.8kW electric shower review - Which? 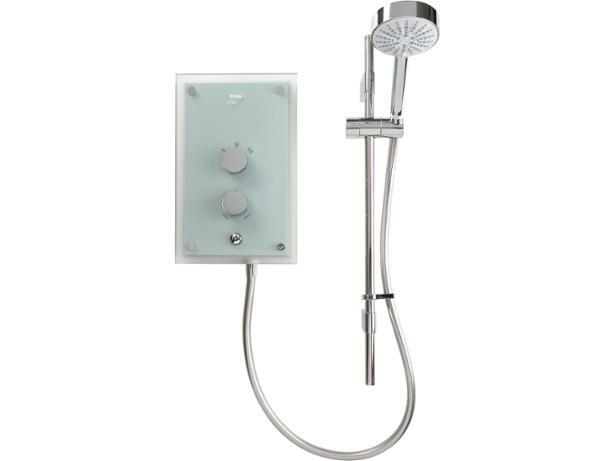 The Mira Azora 9.8kW electric shower is pretty pricey, but its sleek, minimalist, frosted glass control panel and chrome shower head and riser rail are guaranteed to make a style statement in your bathroom. 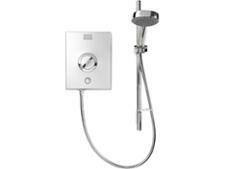 But will this thermostatic Mira electric shower keep the temperature steady when someone turns on a tap while you're showering? Read our expert review to find out.